What is a Georgia mechanics' lien claim? One of the benefits of working on a construction project in Georgia is that as someone who provides work or materials to the jobsite, mechanics lien rights are generally available. But what a mechanics lien is, how it works and why it is needed are all questions that may not be common knowledge. Mechanics liens in Georgia are documents that are filed with the county in which the construction site is located, and provide notice to the owner, as well as any potential purchasers or lenders, that money is owed for work performed on that property. How a Georgia mechanic's lien works: By filing a mechanics lien in Georgia, the contractor or supplier makes the construction site it's collateral. Construction liens are a mechanism to ensure overdue payment does not become non-payment. By filing a lien on the property, a Georgia contractor gains the ability to foreclose on, or sell the property, and obtain payment from the sale proceeds. But to force a sale resulting from a property lien, the lien must first be filed timely and correctly and any prelien notice requirements must have been properly performed. Why a mechanics lien is necessary: Overdue payments for work performed or materials delivered to a construction project can be hard to collect. Luckily, Georgia provides statutory rights to those working on a construction project, allowing them to use the property as security for work performed. The Georgia lien laws allow the filing of a property lien when payment is owed for work performed that improves real estate. This is an extraordinary right, and not generally available outside the construction industry. However, Georgia legislators decided that contractors and suppliers should be able to use the real estate they improved to obtain payment in the event of a default. Using the Georgia mechanics lien laws is a necessary advantage, and places pressure on the owner, as well as any delinquent contractors, to ensure payment is made before a forced sale takes place. In short, in Georgia, liens filed on private property for the value of work or materials provided to a construction project are known as Mechanic's Liens. Georgia mechanics liens get filed with the clerk of the superior court in the county in which the construction site is located, and attach to and encumber the ownership of property, making it difficult to sell, transfer or finance the real estate without first resolving the lien. Who can file a Georgia mechanics' lien Claim? The mechanics' lien law in Georgia provides broad protections to those who work on a construction project, allowing most anyone who provides labor or materials to file a lien on the property. 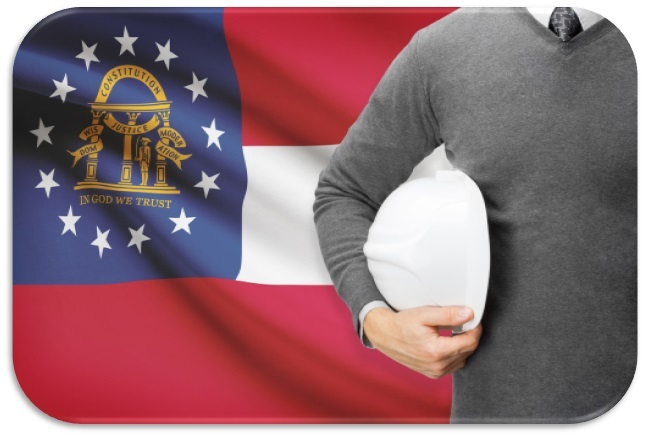 Liens in Georgia can be filed by contractors, subcontractors, mechanics, materialmen to contractors or subcontractors, laborers, registered architects, registered surveyors, registered professional engineers, contractors/subcontractors/materialmen furnishing material to subcontractors, machinists/manufacturers of machinery, equipment renters. But the right to file liens in Georgia are not unlimited. All potential lienors must comply with strict notice requirements, timing requirements, and must send any required pre lien notices within the time required by Georgia statutes. Additionally, since Georgia regulates the licensing of those who perform construction work, anyone who is unlicensed, but who is required to be licensed for the work they provide, does not have lien rights. Are pre-lien notices for a Georgia mechanics' lien Claim required? The Georgia lien laws do require pre lien notices in order to be eligible for a mechanics lien. The benefit of sending a Georgia prelien notice, or Notice to Contractor, is that provides everyone with the knowledge of who is working on the property, who is delivery materials, and therefore they can anticipate who should be paid when they see that work being performed. With regard to pre lien notices, it is strongly recommended that all parties provide notice that they are working on the project and expect to be paid for the work performed. A prelien notice should be sent at the very beginning of when each contractor or supplier's work commences. It is not only the contractor or supplier that has a prelien notice requirement. If the owner files a “Notice of Commencement” and posts it at the project site, then all those who are not performing work directly for the owner or prime contractor must, within 30 days from the initial delivery of labor services or materials to the project by claimant, provide a "Notice to Contractor". Notices to Contractor are required on both public projects and on private projects. Additionally, all persons providing labor or materials to a construction project may file a Notice of Lien Rights in Georgia, which can be filed during or after work is performed, and provides the owner the amount due and owing at the time the Notice of Lien Rights (NOLR) is filed. The NOLR is important because it provides the owner with notices that money is due and owing, and allows the owner the opportunity to resolve the outstanding amount due prior to the filing of a formal construction lien. When should a Georgia mechanics' lien Claim be filed? The filing of a Georgia claim of lien must be filed within 90 days after the day on which the lien claimant last performed labor or furnished materials. How much does it cost to file a Georgia mechanics' lien Claim? The filing of a mechanics lien is a process that involves drafting the lien claim, sending it for filing with the local county superior court, and properly serving the filed construction lien. Each of these steps incurs an associated cost, all of which ad up. While some companies charge for each step, surcharging for different items and steps, LienItNow.com provides a flat fee for the filing of a lien in Georgia. So how much does it cost to file a lien? For pricing information, please visit our prices page. Do I need a written contract in order to file a Georgia Mechanics Lien Claim? How does filing a Georgia mechanics' lien Claim help me get my money? On a private project, the Georgia mechanics' lien places an encumbrance, similar to a mortgage, on the property to which work or materials were provided; because of the filing of the mechanics lien claim, everyone that is seeking to either buy or provide a loan to that property is given notice that there is a claim on the property. That makes it it difficult to resell or refinance the property without first removing the Georgia mechanics lien. The lien claim on the property also allows the lienor the opportunity to foreclose on, or force a sale of, the real estate that the lienor improved with its work or materials. LienItNow.com prepares and serves Georgia Stop Notices. A Stop Notice is a notification that has the ability to enhance the effectiveness of a mechanic's lien. A Stop Notice, or a notice to withhold funds, is sent to the company that is financing or funding the construction funds for a project. Once that company receives the Stop Notice, that company has notice that it should withhold sufficient money to satisfy the stop notice claim. The purpose of the Stop Notice is to provide the lender, financiers or funders of the construction project notice that there is money owed to a contractor, subcontractor or supplier so that an inquiry can be made as to why that money is not being paid. What is an Amendment to a Georgia mechanics' lien Claim? LienItNow.com prepares, files and serves Georgia Amendments to mechanics' lien Claims. Amendments to a mechanics' lien claim are often needed when something about the claim changes. Common changes to a lien claim are increases or reductions in the amount due to the lienor, or a change to the last date of work. When should a Georgia Discharge of mechanics' lien claim be filed? It is important to make sure that when filing a GA Lien Release, that you are careful with how and when it is filed. Once a lien release is filed in Georgia, it usually removes any lien rights available to the person filing it. If payment has not been made, or the lien claim has not otherwise been resolved, then a lien release should not be filed. However, if the lien has been resolved by payment or other methods, then a lien release should be filed, and is required. If a lien is left on a property even after payment has been made, it continues to encumber the property. This could be troublesome not only for the owner, who will continue to have a hard time selling, but also for the lienor, who may be hit with penalties for failing to remove the lien. If a lien needs to be released from a property, LienItNow.com prepares, files and serves Georgia Discharges of mechanics' lien Claims. Once the lienor has been paid the amount contained in its lien claim, or has come to an agreement that requires the lien claim to be removed from the property records, LienItNow can take care of the filing of a Discharge of mechanics' lien Claim. How much does it cost to file an Georgia Extension of a mechanics' lien Claim? LienItNow.com prepares, files and serves extensions of mechanics' lien Claims. All lien claims expire after a certain period of time, and filing an extension of the mechanics' lien claim prolongs the expiration date. Georgia law, however, does not permit an extension of mechanics' lien claims. Can I file a Bond Claim on a Georgia Project? LienItNow.com prepares, files and serves Georgia Bond Claims. Bond claims can only be filed on a project where the owner, contractor or subcontractor has obtained a payment bond to ensure that every contractor receives payment for the work performed on the Project. The payment bonds issued by sureties for construction projects have specific timing requirements, but most require claimants to submit claims against the bond within sixty to ninety days from the claimants' last date of work. Bond claims are as or more effective than a lien claim because the payment bond acts as a guarantee that payment will be made for work properly completed. Do I need to file a Pre-Notice to make a claim against a Georgia payment bond? LienItNow.com prepares, files and serves Georgia Pre-Notices for bond claims. Depending on the terms of the payment bond, pre-notices may or may not be required. LienItNow.com recommends that, prior to or immediately after starting work or delivering materials to a project, subcontractors and suppliers, file a pre-notice that it is a potential beneficiary of the construction project's bond. All parties not in direct contract with either the Public Entity or the General Contractor must, within 30 days from the initial delivery of labor, services, or materials to the project by claimant, provide a “Notice to Contractor”.